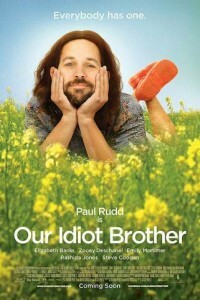 Originally entitled My Idiot Brother, but which would be more aptly titled Our Retarded Brother, the film stars Paul Rudd in the leading role. After getting caught selling pot to a uniformed cop, Rudd’s character sent to jail. Upon his release, he has no alternative but to move in with his three grown sisters.